How do you feel when everyone loves a book and you don’t? I believe this is the reason why the world is so beautiful: we are all different, yet we are all the same. Variety is the spice of life…We all have different opinions, different tastes, and thank God for that. I don’t even want to imagine how dull the world could be if we all had the same brain, the same feelings. So when I don’t like a book everyone seems to love, I like speaking up, explaining all the reasons why I don’t like it, in the hope that a respectful and edifying discussion about it will spring up. Respect is the key word here. Every discussion should be built on respect. And this goes also for books. 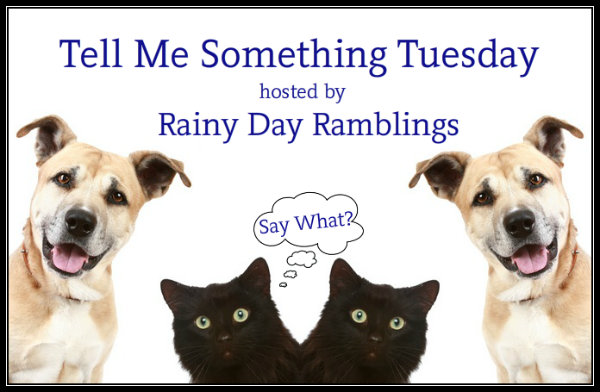 This entry was posted in Books, Tell Me Something Tuesday and tagged Books, Opinions, Tell Me Something Tuesday. Absolutely!!! Grown ups should be able to agree to disagree! Not all books can be all things to all people. Vive la diference! I agree…how boring would life be if everyone was the same. I believe that even if you don’t love everything you read you usually come away from the experience a little better….. I agree with you, and if I’m giving a review I always say “these are my thought, or this is the way I feel”. So they’ll now I don’t expect them to feel the same way. I love to hear other people’s opinions about books I have read. I would rather discuss them with someone who doesn’t agree with me, I think it makes the discussion much more interesting, and makes me really think about why I did or didn’t like the book.